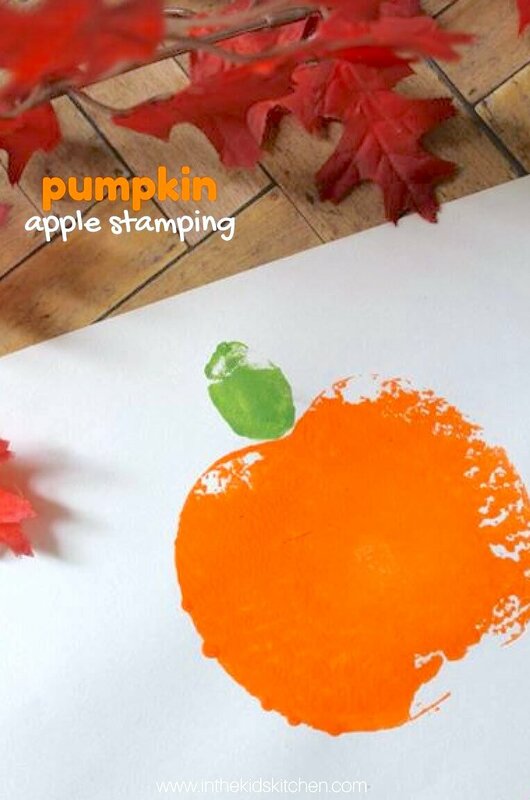 Inside: Pumpkin apple stamping is an adorable and easy fall craft for kids with simple supplies you likely already have at home! Wait!! Don’t throw away those bruised apples! One of my favorite ways to use up ingredients that are a bit past-their-prime is to use them in kids’ kitchen crafts! 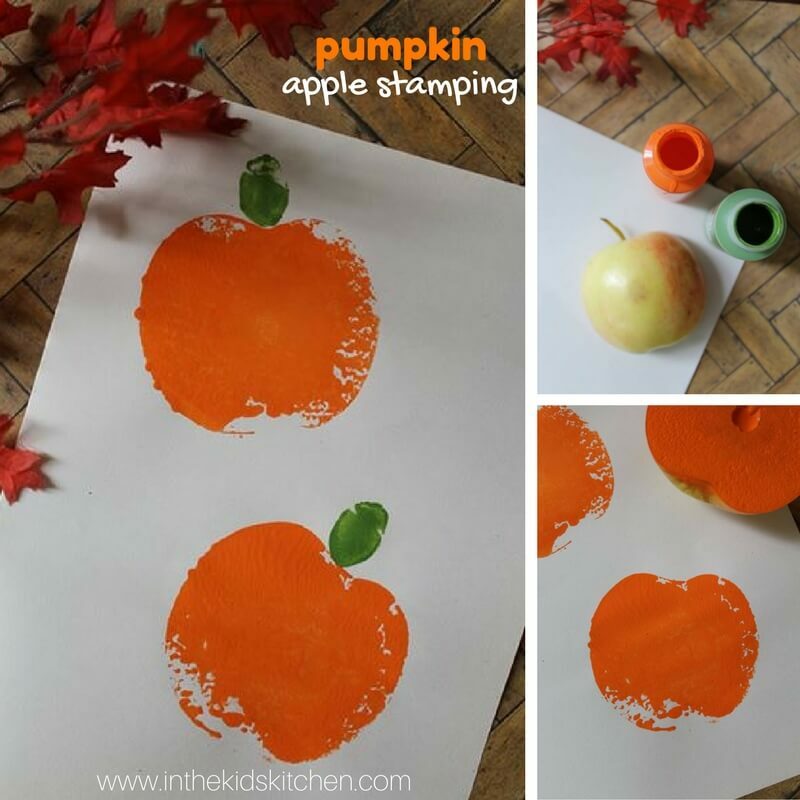 Like our Potato Easter Egg Stampers, these Apple Pumpkin Stamps are a great way to use up bruised apples the kids won’t eat while also creating some cute, seasonal art! My kids love it when I pull out some food and tell them we’re not having a snack – we’re going to craft! 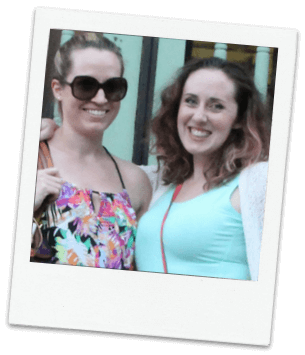 It’s so fun for them to imagine and repurpose items for crafting and it’s also a great activity to practice mental fluidity, which opens up our brains for being creative and inventive in other areas of our lives. This is always a great activity after we have been at the apple orchard and have inevitably found a couple of bruised or hole-y apples at the bottom of our bag. These are cute on fall-themed cards and you could even use this technique to make a bunting banner or customize a tote bag. 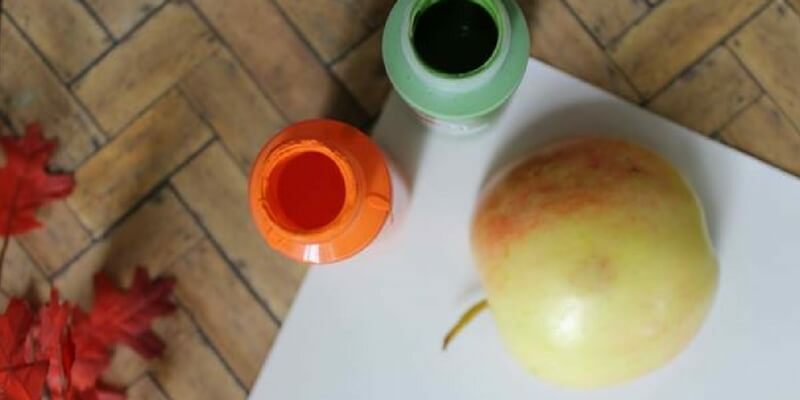 Cut your apples in half along the stem. 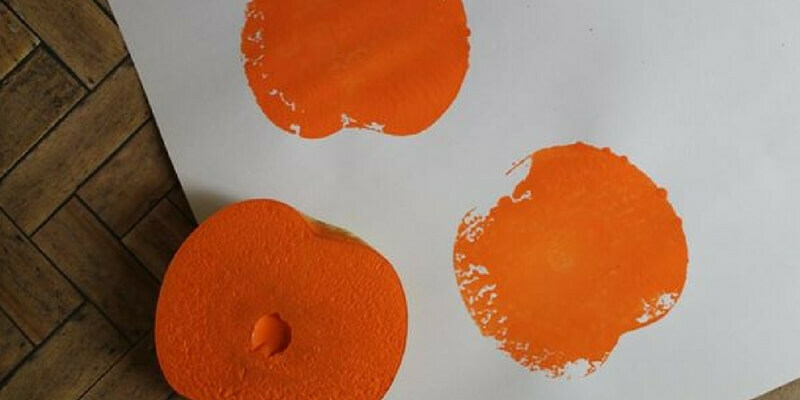 Pour your orange paint into a shallow, rimmed plate. 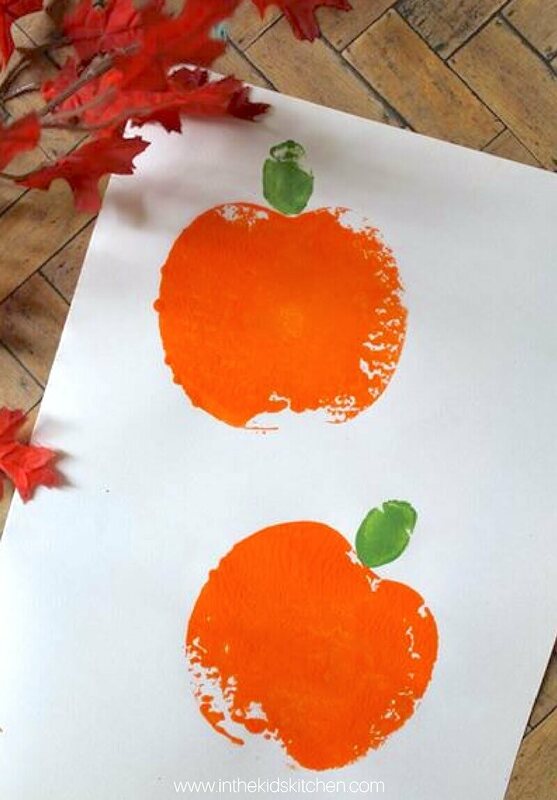 Show the kids how to dip the flat “flesh” side of the apple into the paint and make a clean stamp on their paper or fabric. Let dry completely before adding on details like stems, worms or faces! What are your favorite ways to use up the last of food that kids might not want to eat? For more fun fall kitchen ideas, check out our 30+ Kid-made Thanksgiving recipes or our Jack O’Lantern Halloween pancakes. I’m a toddler teacher and came across this and thought WOW!! how creative and fun is this? I love it and I think that my class is going to enjoy this very much.